Lipo Flavonoid Plus is a natural bioflavonoid supplement that is used for treating tinnitus, ringing or buzzing in the ears, or Meniere’s syndrome. If you've seen or heard of bioflavonoids, it's probably from seeing the label on a bottle of vitamin C or similar supplement. A bioflavonoid (or flavonoid) is a naturally occurring phytonutrient found in the skin of fruits and vegetables. The reason you see them most often in vitamins, like vitamin C, is because they help the body break down and absorb the essential benefits of the vitamin. Bioflavonoids are present in many fruits, especially citrus, and are used to treat and promote myriad health benefits and conditions, from heart health to boosting the immune system. If you decided to skip this review, you can check price on amazon here, but we suggest to read the whole thing. Lipo-Flavonoid Plus contains lemon bioflavonoids to be exact, which contain eriodictyol glycoside. It is the eriodictyol glycoside specifically that has been found to be effective in treating tinnitus. To understand whether or not it's effective and might be for you, what people are saying, and where to buy, read on. Tinnitus is the condition of a constant or intermittent ringing, buzzing, or chirping sound in one or both ears. It shows up most frequently in people between the ages of 40 and 60, though it can affect those both younger and older. It can manifest for short periods of time and then disappear just as quickly. After attending a concert, for example, or being exposed to an extremely loud noise, you might contract tinnitus for a few hours to up to a few days. If tendinitis sticks around for longer than a few weeks or days, you have what's referred to as chronic tinnitus, which can be a more significant problem. Studies done by the American Tinnitus Association show that roughly 15% of the public, approximately 50 million Americans, suffer from tinnitus. And tinnitus relief tips are some of the most sought-after answers on the web. Among all, one of the most asked questions about tinnitus is, what vitamin deficiency causes ringing in the ears? While doctors aren't sure what causes tinnitus, there are some theories that explore whether diet and lack of proper nutrition can be contributors. In those cases, if diet is a factor, the likely culprits are vitamins E, D, and B12, but there are no hard medical facts to support this theory. When it comes to vitamin deficiencies and ailments such as tinnitus, the results are too mixed to establish certainty because the cause is unclear. In addition to vitamins and dietary supplements, natural remedies have been touted as helping ease symptoms. For example, naturopaths have been exploring the hypothesis, "Is Ginkgo biloba good for tinnitus?" and testing it in trials. While reviews and testimonials, success rates are again mixed, in some studies and cases, patients have reported relief from symptoms. But similar to most unregulated herbal supplements, it's unclear why it seems to work for some but not all patients. 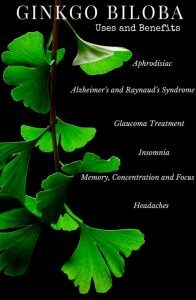 And as far as scientific data, there is no actual proof that ginkgo biloba is an effective treatment. Similarly, as well as exploring nutrients and vitamins, there's also research being done to investigate mineral deficiency as a potential factor. 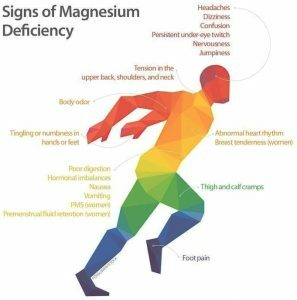 Researchers are asking questions like, can magnesium deficiency cause ringing in the ears? 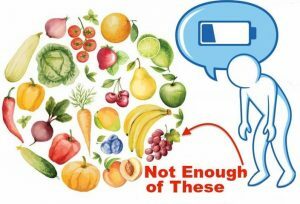 Every cell in our bodies needs and relies on magnesium, yet of all minerals, it tops the list for the highest deficiency in most people. Magnesium is beneficial in keeping us calm and stress-free, and it's useful in treating irregular heartbeats, cramps, high blood pressure, and asthma attacks. It's our body's natural calming agent. Magnesium also serves to protect the inner ear nerves by inhibiting the over production of glutamate. When sound hits the tiny hair cells in our inner ears, it produces glutamate. That production can go awry, producing sound waves that aren't caused by external occurrences, like loud noises. That can case tinnitus, and magnesium can keep that l-glutamate over-production at bay. At the end of the day, researchers haven't isolated the exact cause (or causes) of tinnitus. It could be caused by a vitamin D deficiency, a magnesium deficiency, or age. 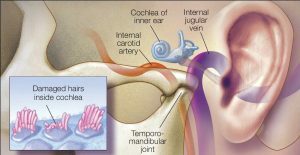 As we get older, the little hair cells deep inside the inner ear, in the cochlea, become damaged, which can cause tinnitus, which is sometimes accompanied hearing loss. While not life threatening, tinnitus can lead to stress, sleeplessness, dizziness, or more serious health problems like depression, dizziness, sleeplessness, and chronic illness. While neither scientists nor doctors have found a reliable treatment that works for everyone affected 100% of the time, many people find relief through behavioral cognitive therapy, hearing aids or other sound-masking devices, stress management, and by taking certain dietary supplements. 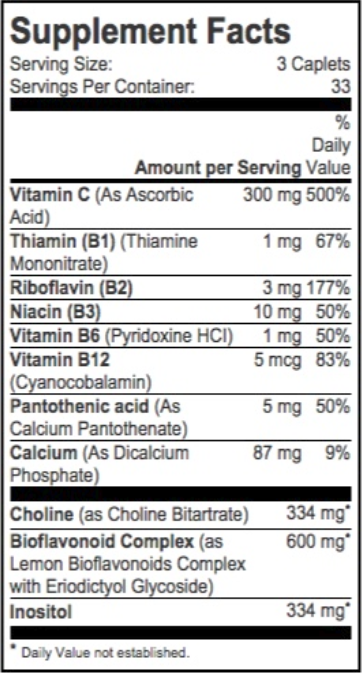 In addition to the lemon citrus phytonutrient eriodictyol glycoside, Flavonoid Plus caplets contain the ingredients of vitamins B-2, B-1, C, B12, B6, and Niacin. These are formulated to work in combination to improve circulation in the inner ear, which in turn can ease the symptoms of tinnitus. The recommended dosage is two caplets three times a day after a meal for two months. Many reviewers report that it can take up to two or three weeks to start working, and others say it reduced their tinnitus completely, some by half. As stated earlier, the efficacy is uncertain. Some people report that it completely cured their tinnitus, while others say it did nothing to help their symptoms. Side effects are rare but can include a rash, which most likely suggests an allergy. In worst cases, stomach aches have been reported, but not frequently. The most widely reviewed side effect is a lack of effectiveness. To create an improved sleep environment, the they are now also offer Sonorest Sleep Tones designed by experts for the ambient noise needs of tinnitus sufferers to help fall asleep and relax. Basically, it makes no difference for some people. This is very common among supplement remedies, and is a frustration in the scientific community, as there's no hard evidence to support why it works only for some people. The long and short of it is that if you have tinnitus or similar ear health issues, it is worth giving Lipo Flavonoid Plus a try. You can pick it up online on Amazon or at your favorite drug store, like CVS or Walgreens or Walmart. If there's a chance it could work to relieve your symptoms, it's worth it, given the risks are so few.